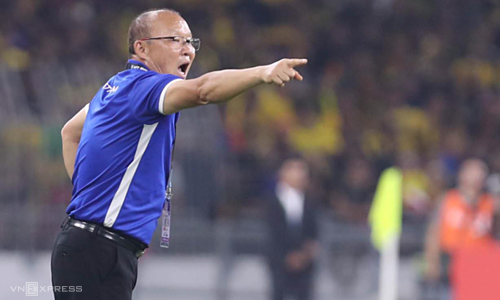 In approximately 18 months, coach Park Hang-seo has led Vietnam to win 11 of 13 encounters against regional opponents, losing none. 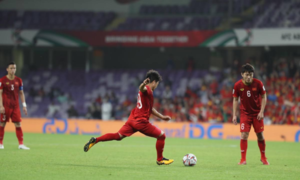 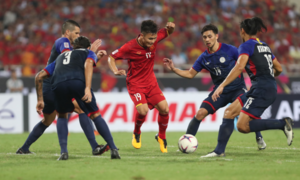 Vietnamese defender Nguyen Quang Hai has been named one of players to watch ahead of AFC Champions League playoffs. 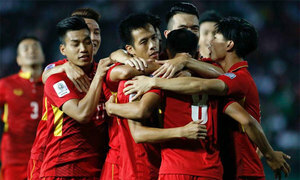 Vietnam coach Park was hoping for a slightly better result in their last group stage match. 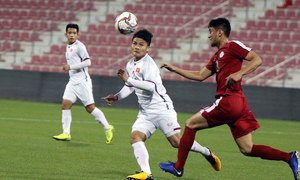 An unmarked Hai scores easily after a magnificent buildup by his teammates. 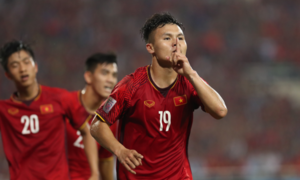 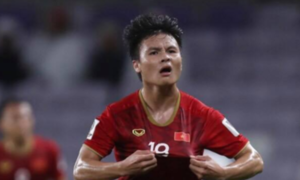 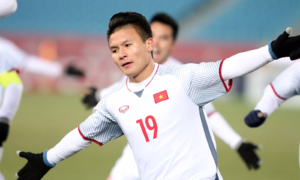 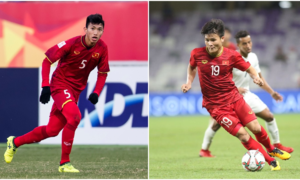 Nguyen Quang Hai and Nguyen Cong Phuong have been picked as best player award contenders at the upcoming AFF Cup. 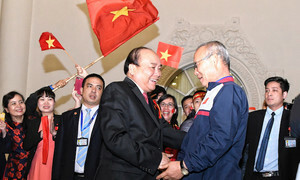 From France to Uzbekistan, Vietnamese fans are ready to paint the streets red.